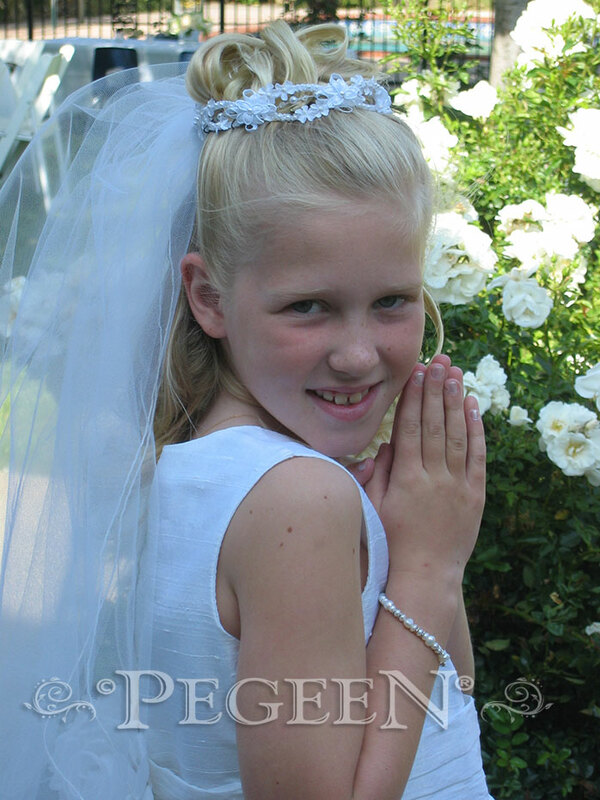 FIRST COMMUNION DRESSES are only allowed to be sold on an exclusive basis to each Parish. 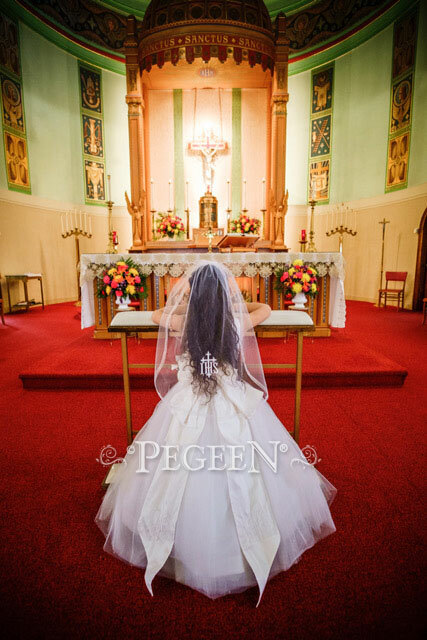 Once ordered for your Parish, we will not allow anyone else to purchase THAT style for your Parish to maintain exclusivity. 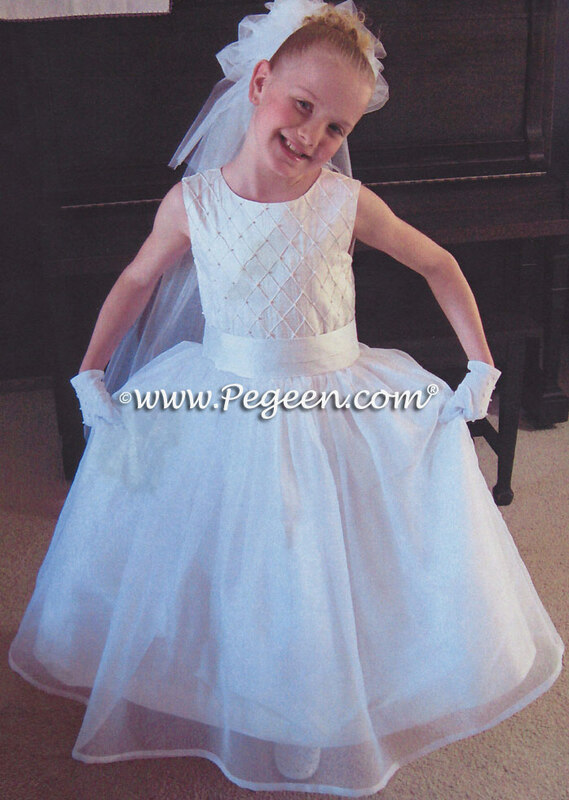 First Communion Dresses or Cotillion Dresses here are made in a host of many fabrics: silk, organza, tulle, embroidered organza and taffeta. 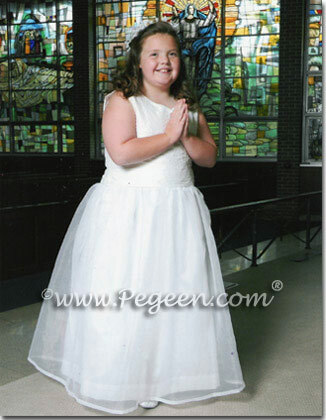 Plus size communion dresses available in all styles. 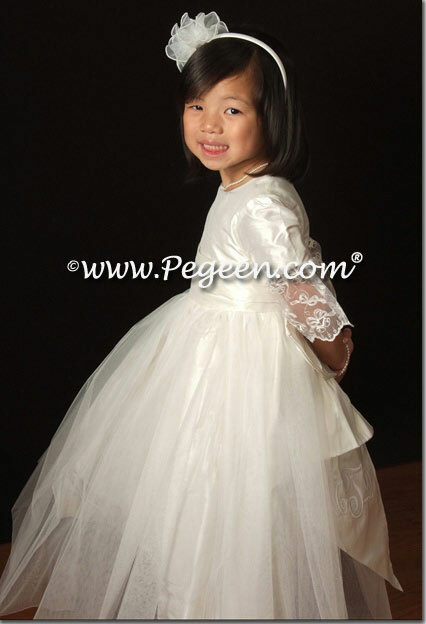 Our speciality is also Custom Fit Girls Dresses, Plus Size Communion Dresses and Special Sizing for the very thin. 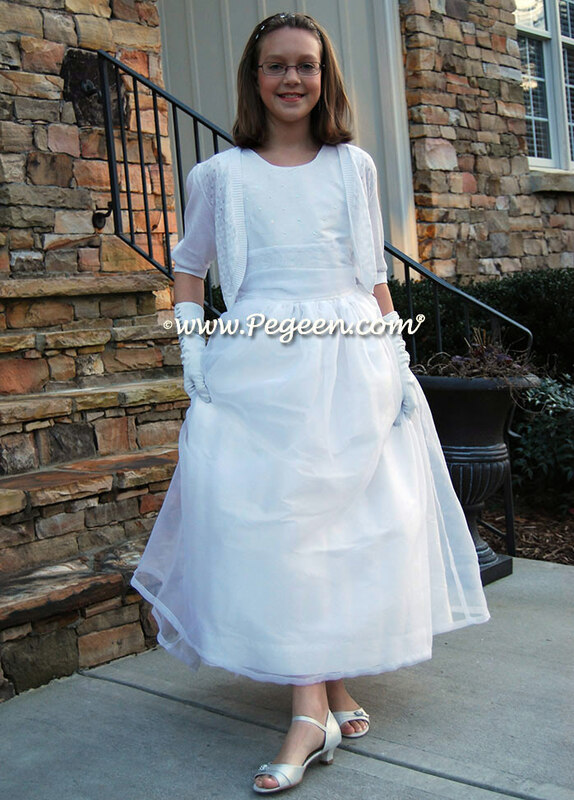 All of the following cotillion dresses, communion dresses and our communion suits are made in all white. 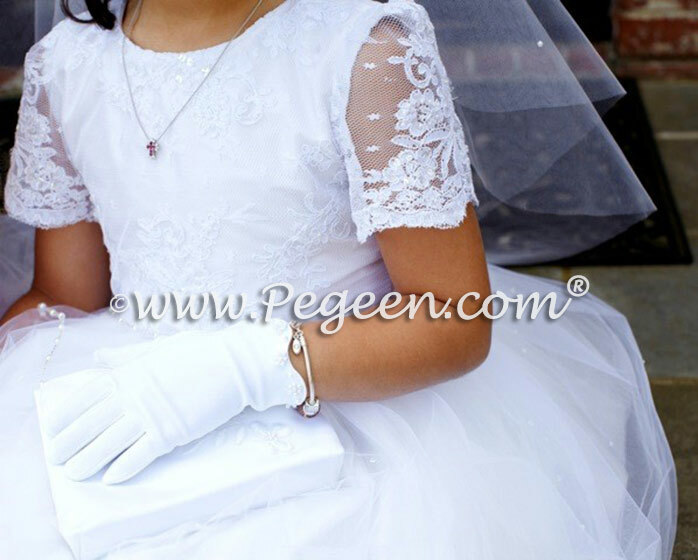 Most First Communion dresses are available with sleeves. 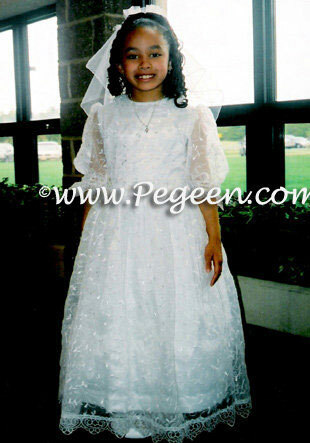 You may see these First Communion dresses on our online thumbnail page where there are more selections. 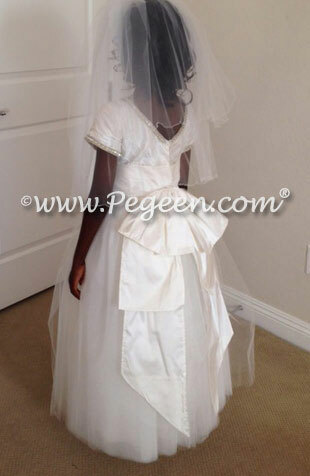 Click on smaller images below to go to recommended styles. 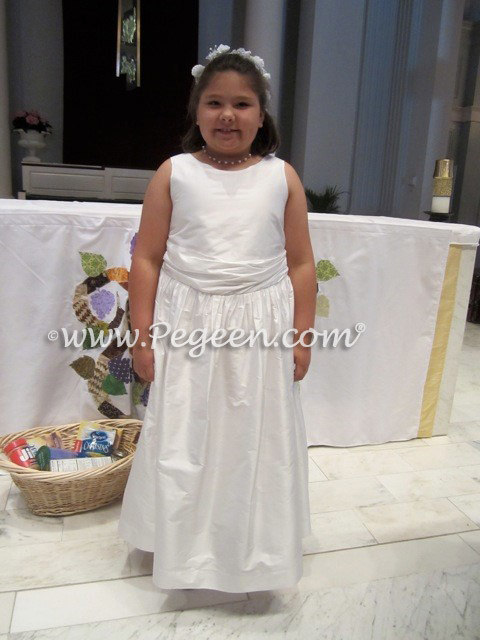 Plus Size Communion Dresses are available in every style. 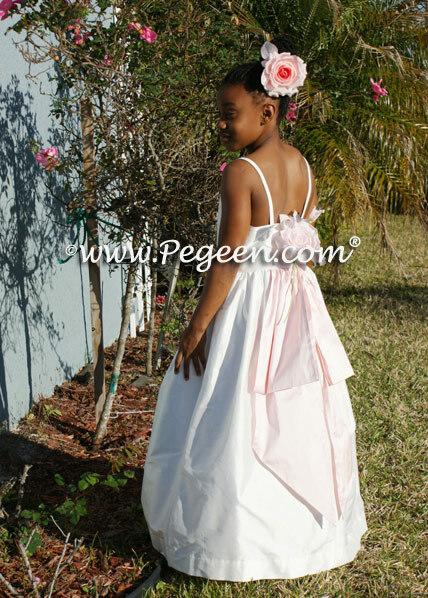 For PLUS SIZES we will send a Bodice in the mail which is made out of a muslin material. 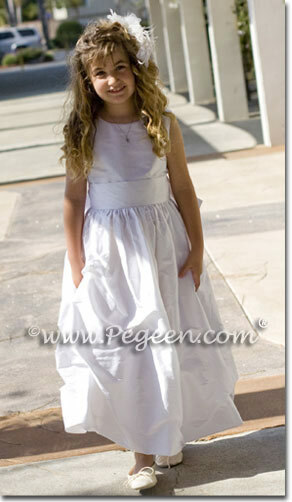 You will try on this pattern/muslin and get back to us with any further fit issues. 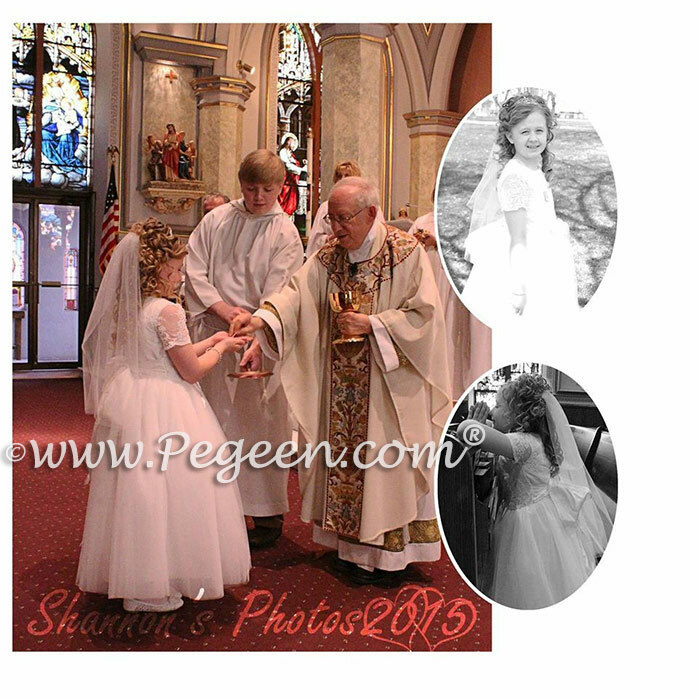 Be sure to have a digital camera ready when it arrives. 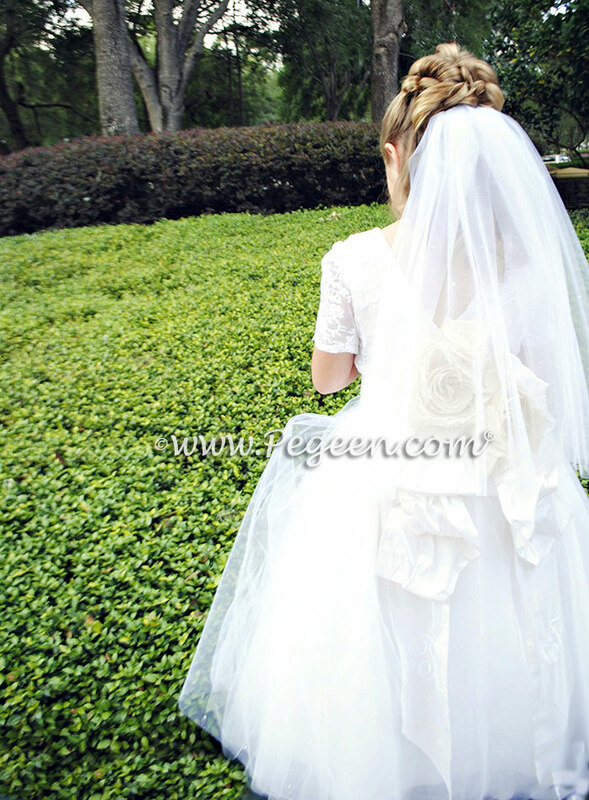 After the fit is finalized, we use our copy of the same muslin here and proceed to make your dress. 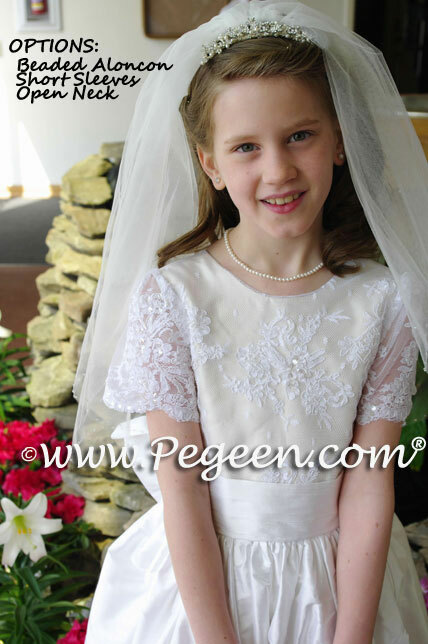 Customize any First Holy Communion Dress or Cotillion Dress with a host of many fabrics. 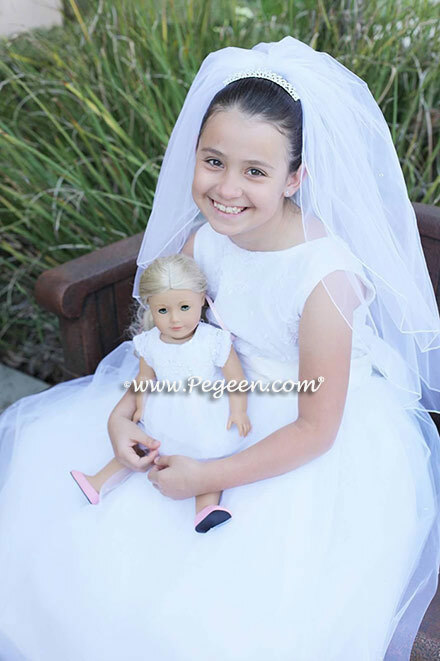 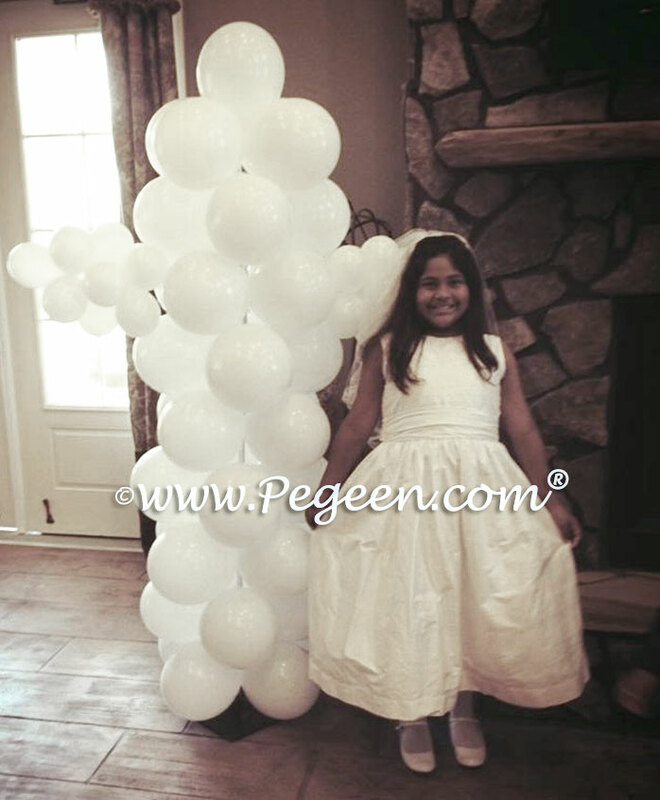 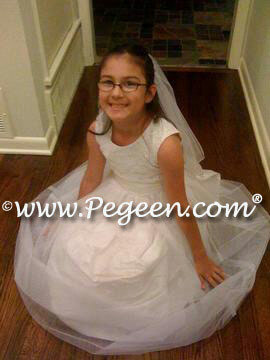 Our specialty is to also Custom Fit Girls Communion Dresses for Plus Size and the very thin. 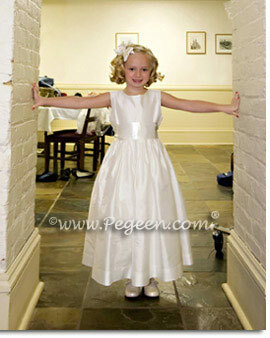 All of the following communion dress and boys communion suit are made in all white or all white silk. 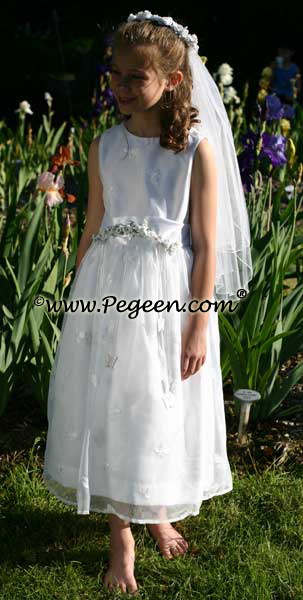 First communion dresses are available with sleeves. 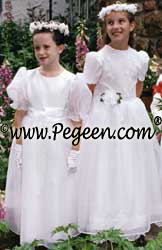 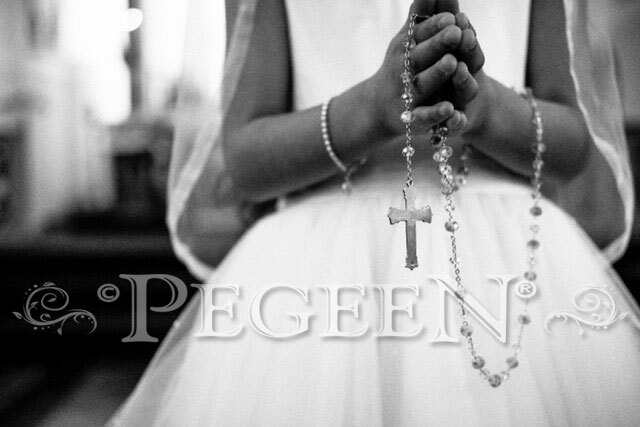 You may see these First Holy Communion Dresses on our online thumbnail page as well, where there are more selections.